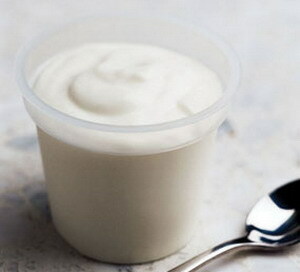 Yogurt has been consumed for more than 4500 years and is well known throughout the world today. Yogurt contains nutrients that are good for health. Some advantages yogurt is rich in protein, contains calcium, riboflavin, vitamin B6 and vitamin B12. Yogurt is milk made through bacterial fermentation and can be made from any milk, even soy milk. Yogurt contains probiotics, the good bacteria that help the digestive process. Not only delicious, it also has other benefits yogurt that is rarely known. The content of the good bacteria in yogurt is not only beneficial digestion, but can also be slimming also beautify the skin. Find out what health benefits of yogurt for us. Yogurt mask can be used to peel the top layer of the epidermis gently. When done on a regular basis will avoid the skin from acne, black spots, and even prevent acne. For best results, mix 1 cup of yogurt with 2-3 drops of olive oil and rubbed on the face. Allow 20 minutes then rinse. Make your metal goods more shining with yogurt. The content of lactic acid in yogurt is quite effective at removing stains. Probiotics (good bacteria) in yogurt has been shown to be healthy microflora in the gut. To get the health benefits of probiotics, make sure your favorite yogurt products containing at least one million colony forming units (CFUs) of bacteria alive. Other healthy reasons to eat yogurt regularly is to prevent heart disease. Special protein in the yogurt and the amount of calcium, magnesium, and potassium it useful for preventing high blood pressure.